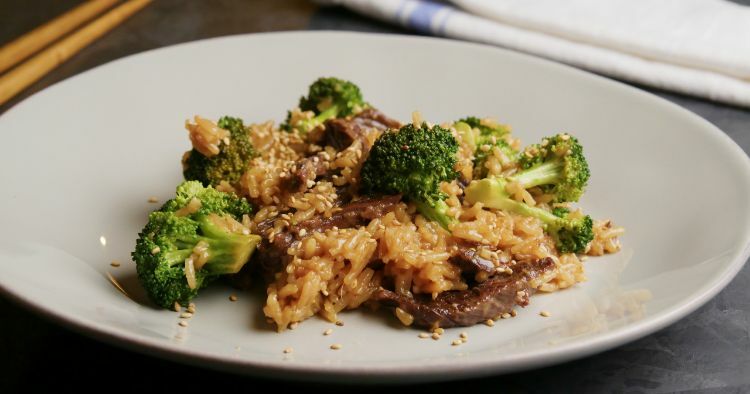 Tender strips of steak, bright green broccoli, and a zingy, savory soy-based sauce spiked with fresh ginger and garlic—this is the kind of meal I could eat every day. With the recipe below, it’s easy enough to make any day of the week. The key to keeping it simple is using the Instant Pot. This one-pot method uses fewer pots and other dishes in cooking than a more traditional version where you cook rice separately and stir-fry the meat and veggies with the sauce. This recipe also relies mostly on pantry staples, save for steak and broccoli. This is a great, quick meal that will likely become one of your weeknight go-tos. 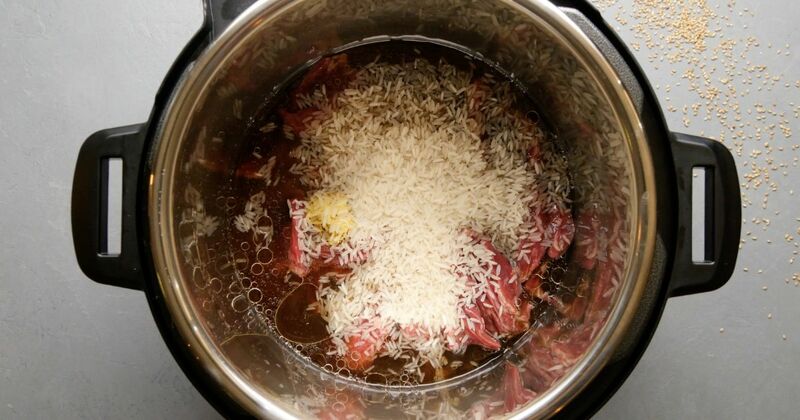 In the Instant Pot, combine the oil, steak strips, garlic, ginger, soy sauce, hoisin sauce, water and rice. Close the lid and set the valve to the sealing position. Choose high pressure and set the timer for 5 minutes. Add the broccoli to the pot and stir it into the rice. Close the lid again and let stand for 10 minutes to steam the broccoli. Serve hot, garnished with sesame seeds, if using.